His name was George John Scarlett Graham-Toler and in time he became one of a number of travellers from the British Isles who left their mark in Tenerife in the best kind of way. Not only was he an old school gentleman, which is always appreciated. He was also a philanthropist and always gave something back to the local people in return for their well-known kindness and generosity. Like so many of his contemporaries, George Graham-Toler first came to Tenerife, to the beautiful Valley of La Orotava in fact, for health reasons. He had developed a lung complaint and sought his cure in the Macaronesian, temperate climate of the Canary Islands. 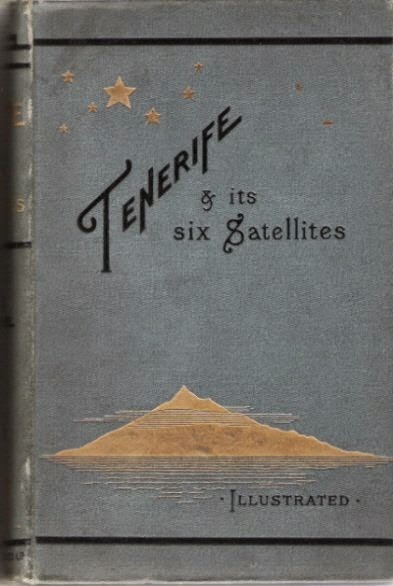 Almost certainly he had been attracted by the many images and articles expressing the delights of Tenerife which were being published by other illustrious travellers, like Olivia Stone in her Tenerife and its Six Satellites. 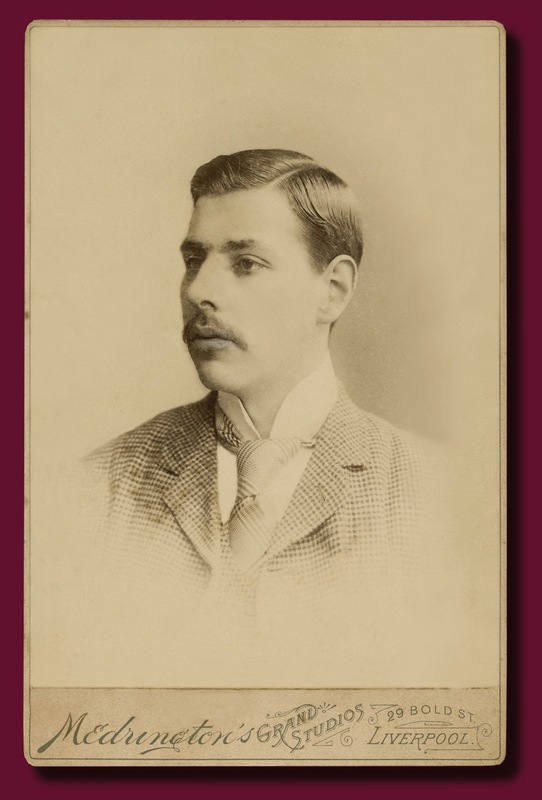 He was descended from the Irish aristocracy although he was born into a cultured and comfortably well off protestant London family in 1850. His parents were Otway Fortescue Graham- Toler and Henrietta Elizabeth Scarlett. His grandfather was Hector, Second Earl of Norbury from Nenagh in County Typperary. Tenerife’s Graham-Toler arrived in 1889 at the age of 39. He was a naturalist and an excellent photographer. Like a true adventurer of the times he spent his first few months exploring Tenerife’s mountains and valleys with a hired guide, a couple of mules to carry his clumsy photographic equipment and his arriero or mule handler. He spent the nights in a small tent and his first base camp was at the edge of a ravine, by a spring called Madre de Agua, high in the hills above the southern town of Granadilla. 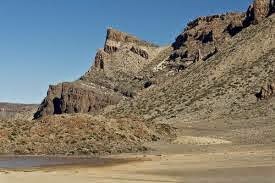 His second was at La Cañada de la Grieta, a wide, desert-like volcanic plain hemmed in by solidified, satanic lava flows on one side and on the other by the incredible Roque de la Grieta, one of the steep rock walls that make up the southern outer rim of what today we refer to as Teide National Park. It was here that Graham-Toler channelled water from an isolated spring for his animals to drink and then paid for a proper canal to be created in order to provide a source of water for local sulphur collectors, and ice men*.Until then they had to make do with filling their water bottles for the return journey to their lowland towns from the Ice Cave, high up close to the summit of Mount Teide . The mountain air was miraculous for his health and George Graham-Toler fell for the charms of the beautiful town of La Orotava. Rumours invaded the steep cobbled streets, whispering that a cultured and distinguished English aristocrat had taken residence at the Hesperides Hotel for an indefinite period. Curiosity invaded noble households and balconies and very soon he was sent an invitation to visit the house of Antonio Monteverde y del Castillo and his wife, Julia de Lugo y García Benítez de las Cuevas. Some accounts suggest that Graham-Toler requested the hand in marriage of their 22 year old eldest daughter, Leonor and that his offer was politely declined because she decided to become a nun. Others ignore that mishap and recall that Mr Graham-Toler was the source of the minor scandal of the times by promptly falling in love with their youngest daughter María Monteverde y Lugo. She was just 16 years old. 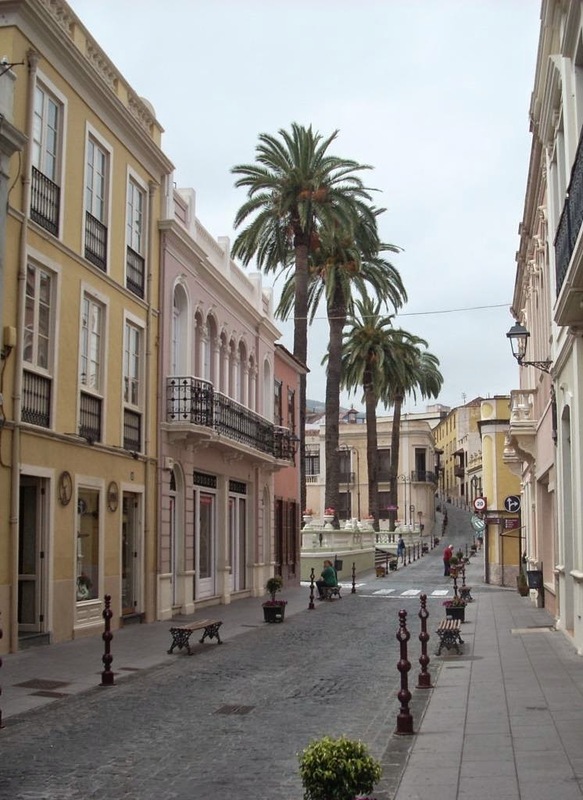 As a member of one of the most distinguished and privileged families in Tenerife and very Catholic indeed, and he being almost 26 years older than the girl, the situation certainly appeared interesting and impossible in spite of his own aristocratic background. Nevertheless he persevered. After receiving Almighty advice, he took religious instruction and became a very devout Catholic indeed. They were married in 1892. 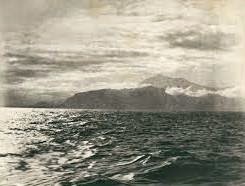 Rumours and scandals overcome, George Graham-Toler was an accomplished photographer and his work was often published in British periodicals, helping to attract many more visitors to Tenerife. 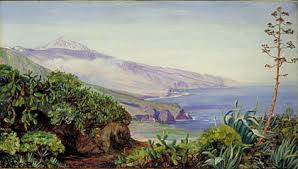 There is also evidence, even in those long ago days and before the rabid onslaught of uncontrolled property development in the latter half of the 20th century, that he was concerned about the destruction of the countryside and of indigenous island species of flora. 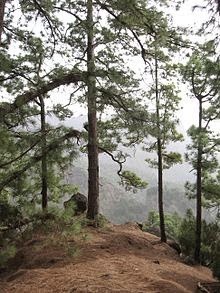 In a letter dated 14th December, 1889 Graham-Toler gave Sir William Thiselton-Dyer, leading British botanist and third director of the Royal Botanic Gardens, Kew, measurements of a magnificent example of a Pinus canariensis, the Canary Islands’ indigenous species of pine which he found above Realejo Alto. He shows concern for the destruction of the pine forests in Tenerife, Gran Canaria and La Palma and asked Sir William to appeal to his opposite number in Spain to have the cutting down of the trees stopped. Together with the letter he enclosed seeds from the local pine. But he is perhaps most famous in Tenerife for overseeing the construction of the climbers’ refuge three quarters of the way up the steep slopes of Mount Teide. 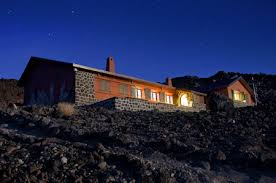 This is known as El Refugio de Alta Montaña Altavista del Teide and it became the high mountain lodging for researchers and scientists. Earlier geologists and astronomers like George Glas, or Robert Edward Alison in 1829, had left evidence of their camps on the slopes of Mount Teide, and it was Scottish Astronomer Royal, Charles Piazzi Smyth, who built the first proper walled shelter to keep his telescopes and fragile instruments protected from the often dusty, high-altitude winds in the summer of 1856. But George Graham-Toler climbed Mount Teide on numerous occasions and in 1891, after experiencing harsh conditions on the mountain, the philanthropist in him set about improving Piazzi-Smythe’s precarious construction for the sake of future adventurers. He hired a builder to lay concrete foundations, pave the floors and put on a roof. In fact George Graham-Toler turned it into a proper habitable structure. It had two dormitories, one for the ladies and one for gentlemen as well as a kitchen fitted with an iron stove. The guides shared the attached stables with the animals. There was also a small outbuilding situated about 30 feet from the main building. It was the bathroom. It is interesting to note that the builder was Señor Nicolás Alvarez, the same man contracted a year later to erect All Saints, the Anglican Church in Puerto de la Cruz. On 30 May 1926, three years prior to his death, Graham-Toler offered the Altavista shelter to the Orotava Town Council, which accepted the donation during a plenary session on 4 July 1927. It had become a welcome haven on the sometimes hazardous peak for geologists, astrologers and intrepid travellers from all over the world, who would knock on his door and ask for the key to the refugio. One is not mistaken to suggest that, thanks to George Graham-Toler, today’s adventure tourists can take shelter when climbing Mount Teide. Like so many other early British guests who spent a greater part of their lives in the Valley of La Orotava, George Graham-Toler was well like and admired. He died in 1929 at the age of 79 and is buried in La Orotava. He and María had no children. Many years later a street was named in his honour in the modern La Duquesa urbanisation, fittingly quite close to old Monteverde family house. *In days gone by men made a living collecting deposits of sulphur around Mount Teide's fumaroles close to the peak, which were then ground and used for agricultural purposes. Others, the neveros or ice men, cut blocks of ice from Teide's ice cave or deposited fresh snow in specially dug wells which would then turn to ice. They would collect and transport the ice wrapped up tightly in sacks or vegetation and sell it to wealthy households, inns, and hotels for keeping food fresh.